Congrats to RWB Spooner on his 25th Anniversary! 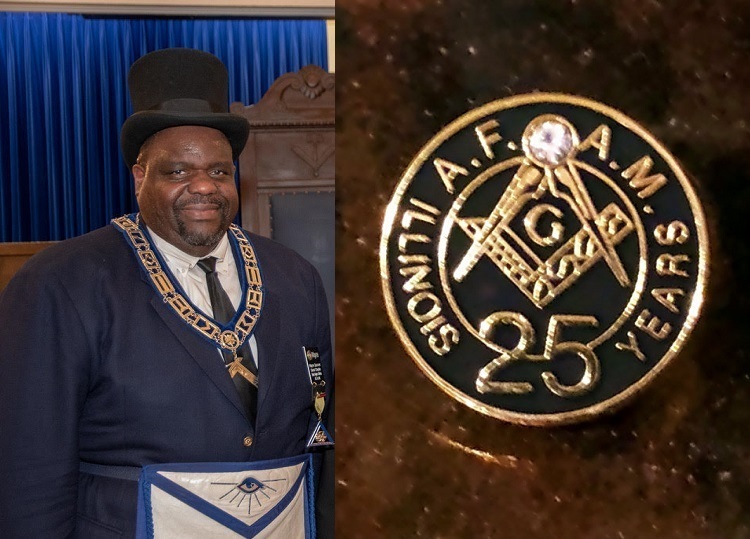 On June 22nd, our Worshipful Master RWB Spooner celebrated 25 years as a Master Mason. During Hesperia 411’s stated meeting on Thursday, June 28th, our Senior Warden, Bro. James Voss II, surprised him with a 25 year anniversary lapel pin. Congrats! We know you will wear it with great Masonic pride!